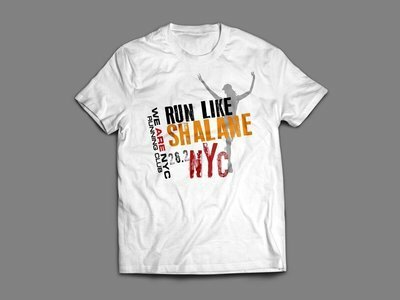 Our running club is emblematic of the wonderful city that we call home, New York City! Like our city does, our club welcomes runners from all over the world whether they run just one race a year in our city or several races a year. Our runners embody the spirit of NYC as our members represent so many wonderful backgrounds. Male & female, young & old, several ethnic backgrounds and most importantly, athletes on all levels of the runnings pectrum are proud to call “We Are NYC Running Club” their running family. We all love NYC and most importantly we love the physical,mental and emotional benefits that running brings. Shop and wear your club's gear with pride like you run in NYC with pride! This is the GREATEST marathon in your home town! 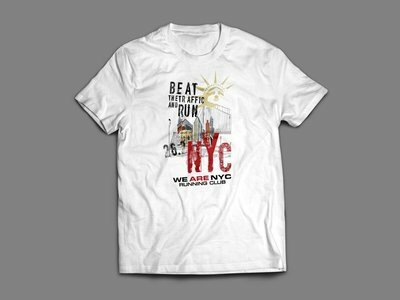 As a member of WE ARE NYC represent your club and your city's marathon with these stylish shirts! Founded in 2018 by a small group of runners training for the United NYC Half marathon, our running club is emblematic of the wonderful city that we call home, New York City! Like our city does, our club welcomes runners from all over the world whether they run just one race a year in our city or several races a year. Our runners embody the spirit of NYC as our members represent so many wonderful backgrounds. Male and female, young and old, several ethnic backgrounds and most importantly, athletes on all levels of the running spectrum are proud to call “We Are NYC Running Club” their running family. Our club is officially recognized by New York Road Runners and you can formally become a member of our club by affiliating with our club there. This Site as a whole, and all material on this Site, is protected by trademark and other intellectual property rights. 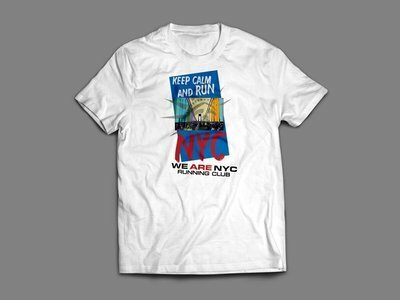 WE ARE NYC RUNNING CLUB® All rights reserved. All materials on this Web Site (the "Site"), and the Site itself, are protected by trademarks and/or other intellectual property rights. These materials are owned by WE ARE NYC RUNNING CLUB and its subsidiaries and or affiliates, or used with permission of their owners. Such materials include, but are not limited to, the photographs, images, illustrations, text, video clips, audio clips, designs, logos, trademarks, trade dress and other materials contained in this site, as well as the software used in the design and development of this Site. The name and mark WE ARE NYC RUNNING CLUB, the WE ARE NYC RUNNING CLUB logos / slogans, the stylized letters, the term WE ARE NYC RUNNING CLUB and all other WE ARE NYC RUNNING CLUB related marks depicted on this Site, whether registered or unregistered, are trademarks or service marks of WE ARE NYC RUNNING CLUB in the United States. It should be forewarned that all campaigns, tag lines and design elements created by WE ARE NYC RUNNING CLUB are intellectual property of WE ARE NYC RUNNING CLUB®. Any variation or derivative taken from our work will be met with full legal action. All infringing parties should be knowledgeable of the consequences when using or imitating WE ARE NYC RUNNING CLUB® works without permission or written consent.